The Prophetic Healing and Deliverance ministries’ all-night prayer held in Waterfalls on Friday could have pulled the largest crowd in the history of this country, estimated to have been over 300 000 people. According to some church officials, they had laid out 300 000 chairs but by the time the event started every chair had been occupied. Thousands more within the church arena and outside the precast wall and in the overflow area towards Highfield high-density suburb were either standing or sitting on the ground, on top of cars, while some were perched precariously in trees surrounding the Blue Shade which is opposite Zindoga shopping centre. An overwhelmed Walter Magaya who is the founder of the church said the turnout, which was screened live on ZBC, was beyond his wildest imagination. Speaking to the press backstage before his much anticipated preaching, the towering Magaya, who was wearing his usual simple ensemble of a shirt and black trousers, said he was amazed at the large crowd. “I have never seen anything like this. Last year we only had a gathering of 5 000 people but just look at the crowd now,” he said battling to contain his emotions. 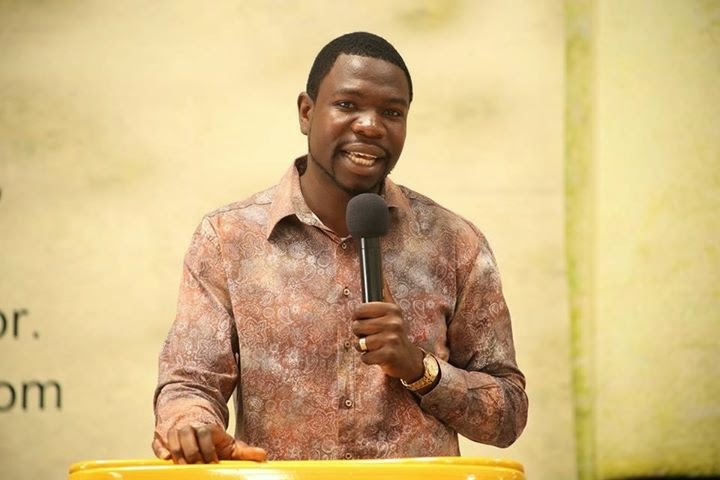 Known for being humble and down to earth, Magaya declined credit and said it was the work of the Almighty. “I understand there are people from as far as Australia, United Kingdom, it’s all so humbling for me. People are hungry for the word,” he said shaking his head while his eyes swept the crowd. People had started streaming to the venue in early in the morning of Friday, while others are said to have arrived the day before, even though the event was supposed to start at 8pm Friday. By around 6pm most seats had been taken except for a few reserved for the VIPs. The human and traffic jam around the place took 120 police officers and 500 church marshals to contain but still there was much shoving and jostling to get inside. The expectant crowd was kept on its feet by various artistes who gave sterling performances. First on stage was Christ Embassy’s Blessing Manyangadze aka Flame B. Wearing a trendy checkered jacket and white angle boots, the young gospel artiste had the crowd begging for more. His spirited dances and catchy tunes became the crowd favourite and many danced along with him. Other musicians that wowed the crowds included Mathias Mhere, Sebastian Magacha among others. But one artiste who had literally everyone on their feet was Zim dance hall music favourite Tocky Vibes. The diminutive musician who was decked out in a black knee length overcoat had the crowd literally eating out of his hand, especially the young people who clearly adored him. Magaya said his diverse selection of musicians was nothing out of the ordinary. “Would you rather they play in beer halls and not in the house of God,” he quipped much to the amusement of the crowd. However, after the captivating performance South African gospel crooner Benjamin Dube took over. With his deep silky tones he serenaded the congregants who swayed in rhythm to some of his popular tunes like, In Your Presence. Dube who is not new to Zimbabwe since he features at most local church gatherings proved he was still one of the best gospel artists in Southern Africa. However when Magaya drove into the arena in his modest navy blue Mazda Demio, the crowd went wild. There was ululating, whistling, screaming and they all went down on their knees as a sign of respect for their leader. When Magaya appeared on stage the screams got louder and some people started going into trances. Some rushed to the front of the glitzy stage which was covered with a fiery orange and turquoise tent. For the next hour or so people who were “possessed” rolled on the ground while some roared in the scariest voices. Some were vomiting unknown substances which the ushers quickly wiped away. A woman in advanced stages of pregnancy had to be restrained by five strong ushers. Writhing and screeching like a parrot, she exhibited such strength that was not expected of a person in her condition. Even young children could also be seen running around in apparent trance with glazed looks on their faces. Ushers had a torrid time trying to contain scores of people who kept throwing themselves on the ground and rolling with their faces contorted. Magaya remained on the stage commanding the “demons” to go. Some became aggressive and appeared as if they wanted to grab him off the stage but he remained unperturbed. Then the healings began. people holding up wheelchairs and walking sticks could be seen dancing around claiming they had been healed. A woman who said she was from Chiredzi said she had not walked for six months but when the prophet walked in she was instantly healed. Another woman from Wedza also received her miracle healing after spending 10 years in a wheel chair.  Magaya later shared the word which he drew from the book of Esther 7 verse 10. He also addressed the popular subject of poverty and said after the event some would become millionaires if they believed. “Let us kick poverty away and return it to sender. Say no to poverty, refuse to be poor,” he said.